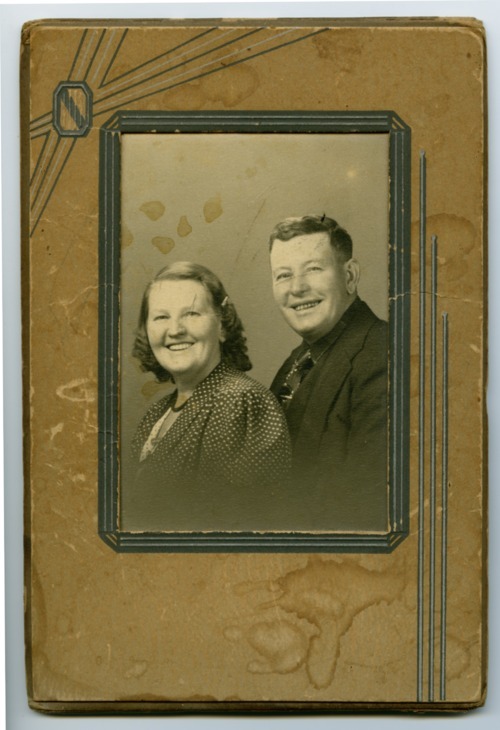 This is a photograph of Arthur Edward Mattox and Hulda Florence Parks. She was born and grew up in McPherson, Kansas. At age 15, she married Arthur Edward Mattox who was born and grew up near Turney, Missouri. After their wedding on December 23, 1908, they moved to Turney where they lived and raised their children.